I’ve been given the okay by my vet to put my horse back to full work now that he has recovered from an injury (we gave him 4 months off). He has been getting 4-5 hours of daily turn-out on grass throughout that time. We started the first week with a couple of 15 minute walks under tack; then the past couple of weeks we have been walking under tack about every other day now, getting up to about 25 minutes per ride. I’d like some advice on bringing a horse back to work after they have recovered from an injury. Start with getting your horse up to 30 minutes of walking. I would ice or use a compression machine (such as Game Ready) after each workout on the injured leg. Once you have that consistently, you can start with some trot work. I’d start with 2 minutes only, adding 2-3 minutes a week. Once you’re up to about 15 minutes of trotting, then you can think about canter, 1 minute at a time, adding a minute or two each week for a month. Keep circles/turns large at the beginning (first 4-6 weeks). 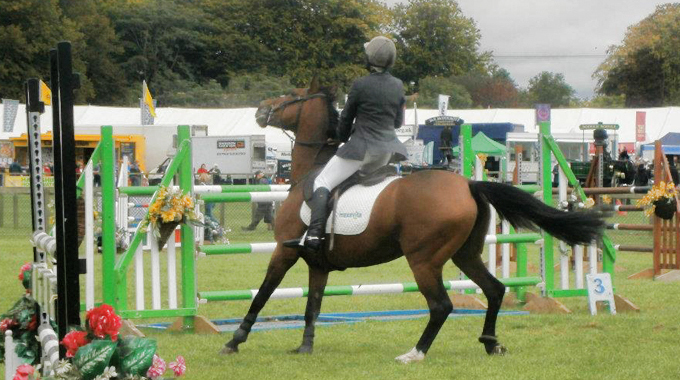 Make sure you are sensitive to your horse needing walk breaks, or hack days in between. The most important thing is to listen to your horse, watch the old injury INTENSELY, and always be ready to scale back if you feel your horse telling you to. Make sure your horse is in full flat work and has rebuilt his muscles properly before you jump. This is super important, and a great opportunity to work on flatwork!! Thanks for you question, and I hope you found this helpful. Cheers! Step number one: How recovered is “recovered”? How severe was the injury? If the horse has had a year off from a bowed tendon, let’s say, then you are looking at weeks of walking: starting at maybe 10 minutes a day for the first week, then 15 minutes a day for 5-6 days, going up by five minutes a day of hand walking every 5-6 days, until you are giving him about an hour of walking a day. 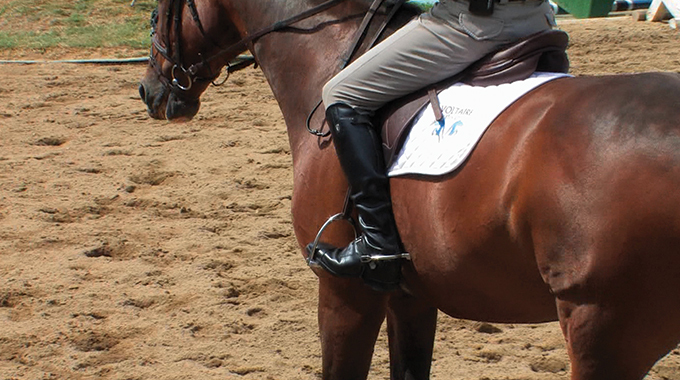 Then, under saddle, start by adding 3 minutes of that hour at a trot. Five days later, put in another 3 minutes, and so on, until he is trotting say, 15 minutes of his one hour. Monitor closely, and back right off if there is pain or swelling or heat. Get to know how his legs feel “blindfolded” as the saying goes. The process is slow, gradual, careful, and time consuming. Especially since you don’t want to risk reinjury. For less serious injuries, adapt accordingly. 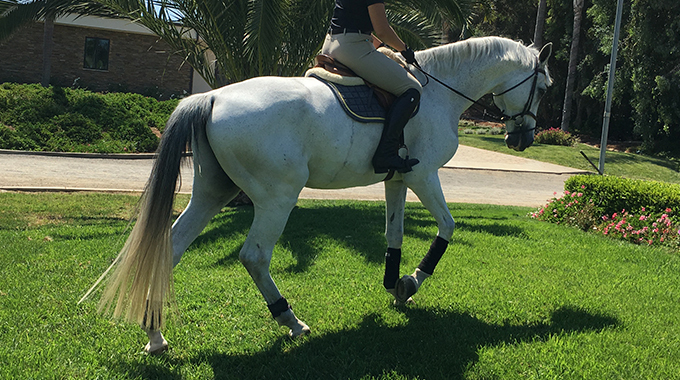 EquestrianCoach guest coach Olivia Loiacono did a blog post called “Exercises to Strengthen a Horse’s Hindquarters” that you may also find helpful. Click here to view it. Bernie gives a member advice on how to enhance her mare's suppleness, with the goal of making her more even on both sides. 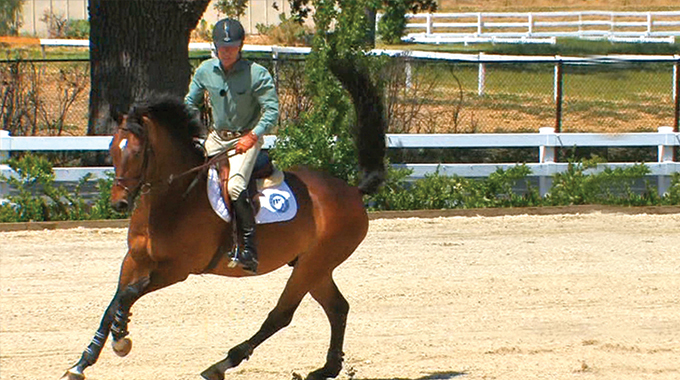 Bernie shares tips on how to keep your horse from getting "lazy" when doing flatwork. Becca had a question as to why her horse is running out on her. Linda explains that it is a steering problem and "keeping it simple" is the best way to communicate effectively with your horse.